Find the perfect 800 number for your business and buy it now! 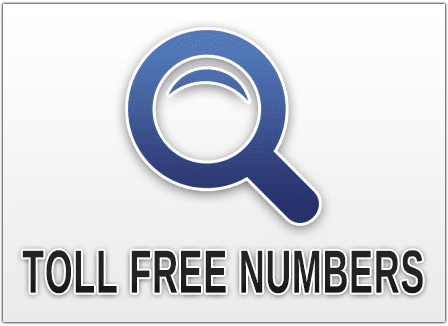 Ready to do a vanity toll free number search? You’ve come to the right place. Whether you are just starting a business or you’re an established company, getting a good vanity toll free number is a smart marketing move. And UniTel Voice can make it cheap and easy to get a great toll free number. In addition to having a wide selection of toll free numbers and true 1-800 numbers, we’re known for offering the best prices, features, service, and support in the industry — just ask our customers. You can start your search now. If you need help please give us a call or chat with us below. 1. All available toll free numbers are housed in a spare pool called Somos. When an 800 number is not in use it returns to the spare pool so companies have the opportunity to use the number for their business. This spare pool is known as the National Toll Free Number Database. It’s an FCC regulated toll free number directory managed by an organization called Somos. Somos is the administrator of all things toll free numbers and it is the organization that allows North American phone companies (like AT&T and UniTel Voice) to provide toll free service. 2. You’ll have better look finding a good vanity toll free number if you choose a newer toll free prefix. Since the toll free number prefix 800 was first released in the 1960s, all most all of the good vanity 800 numbers are in use with other companies. Because of this short supply, the FCC has authorized Somos to release newer toll free prefixes which include: 888, 877, 866, 855, 844 and the newest one: 833. Because these prefixes are newer, there are more vanity number options available in the spare pool — more chances you’ll find a number that spells the word or phrase you’ll looking for. 3. The best vanity numbers have your brand name in them. The best and most memorable vanity numbers are ones that spell your name like 1-800-XFINITY. That’s a perfect vanity toll-free number for the cable company. Sometimes however you do a vanity toll free number search and there’s nothing available with your name in it or maybe your brand name is simply too long, like the insurance company: Progressive. When this is the case you have two options. 1) You could do what Progressive does and use ‘over-dials’. For example, their number is 1-800-PROGRESSIVE – where the SIVE portion is over dial digits. Or, 2) Instead of using a vanity number with your brand name, you could use a word related to your industry or value provision like FLOWERS, ROOFING, FASTCASH, FIXHOME etc.